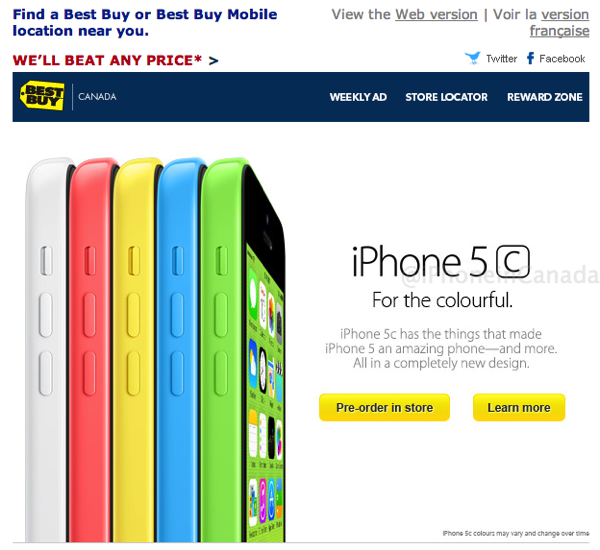 If you can’t get around to pre-ordering an iPhone 5c from your carrier online (Rogers/Fido, TELUS pre-orders are live; Bell pre-orders temporally cancelled) or, you can again pre-order from Future Shop and Best Buy retail locations. 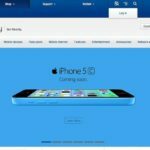 The companies sent out an email blast to customers earlier today informing them to visit stores to make their iPhone 5c pre-orders. 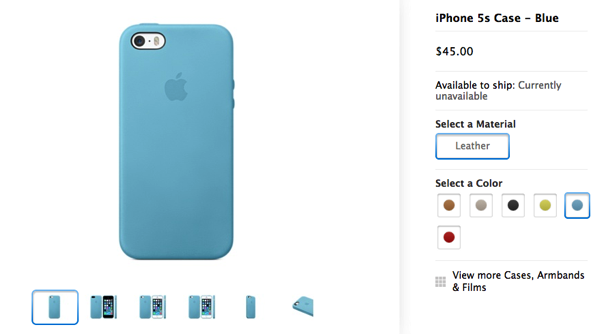 This year, the iPhone 5s is not available for pre-order. 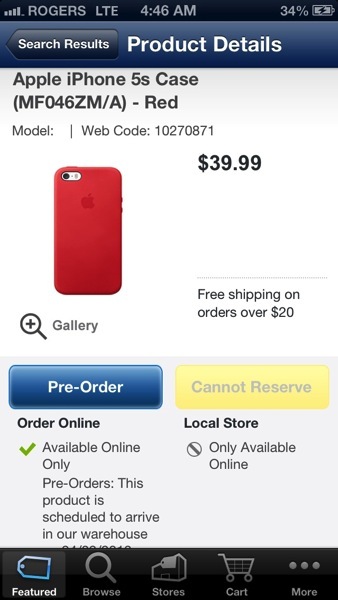 Let us know if you’re going to be pre-ordering your iPhone 5c at Future Shop or Best Buy.